After the successful completion of our first class room at Ololchura School last September, we’ve now started fund-raising for a second. 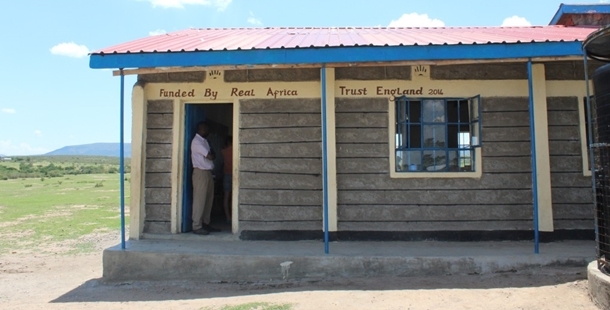 After talks with the school Headmaster Tamoo Sankele over what facilities they need most, its been decided that another classroom to allow more children, especially girls, to attend is the highest priority. We shall be fund-raising in 2015 to raise the money for this, the first event of which will be a charity ball on the 19th June at the Norfolk Mead in Coltishall, Norfolk. The ball is being arranged by some Real Africa clients who visited Kenya with us in November ’14 and visited the school. It was one of the highlights of their safari and now they are keen to help in the construction of the next classroom. Many thanks to them for the time and effort they are putting in. For more details of the ball please contact us. For donations , please visit our Virgin Just Giving page.